These are all Type 3 ewes, they are the daughters of good Stud ewes and should breed some nice lambs. 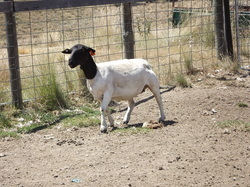 All our sheep are multi-generational vaccinated with "Gudair" for OJD and our Stud is Brucellosis Accredited. 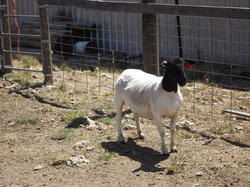 (The Photographer job shared today, he let the ewes do "hot" and he took care of "cranky"). 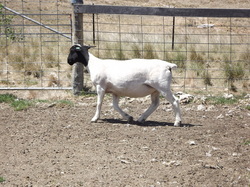 Nice well grown ewe, outcross through sire. 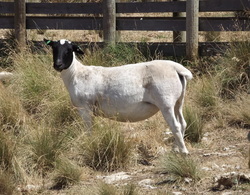 Mother one of our old original Springvale ewes. 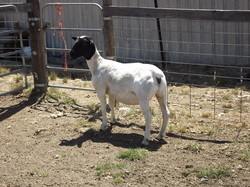 Mother a Type 5 ewe. 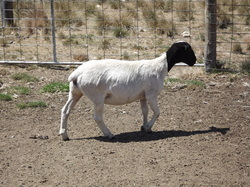 Sire Winrae Ernie, a "Big Al" son. 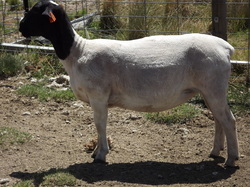 Mother a Type 5 from our very good Blue ewe line. 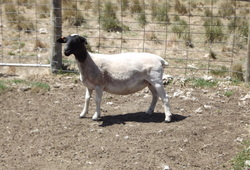 Sire "Earnie"
Another Pan ewe, from a Winrae ewe, who goes back to "Big Al", will be a big ewe. 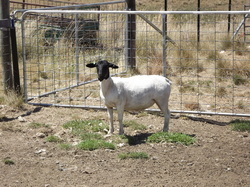 This ewes mother is one of our good old Amarula Stud ewes, twins every year without fail. Daughter of Pan, excellent cover, will shed beautifully! 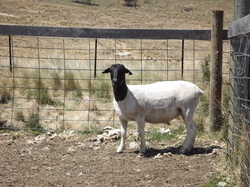 Mother a Type 5 ewe, and full sister to our old stud ram "Blackadder", father is Pan, who has a bit more lift, and a better cover.